Access to digital course materials play a critical role in the long-term success and retention of students in college and universities. So it’s no surprise that institutions are considering—and moving forward with—these programs. 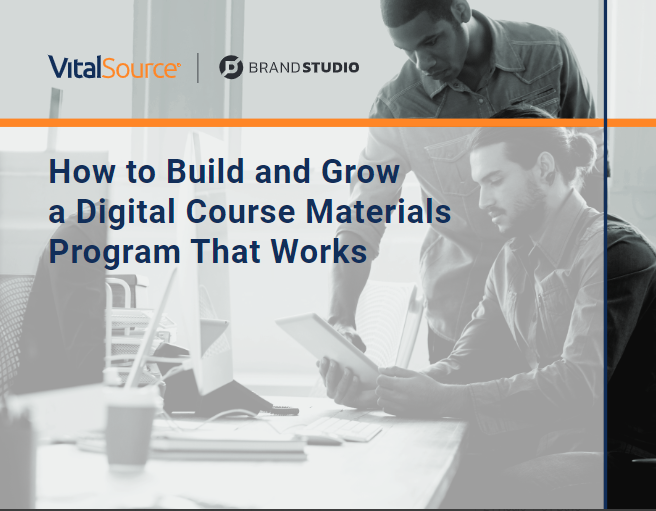 The advantages to having digital course materials are many, but designing and implementing these programs can be challenging. Learn proven steps to building and implementing digital course material that can improve affordability and student outcome in this new playbook.